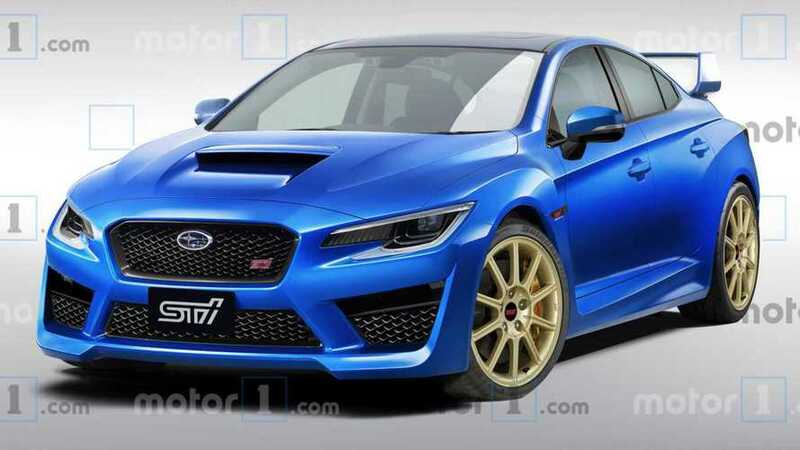 Our colleagues at Motor1 Italy have constructed a rendering of what the next generation Subaru WRX STI might look like. The design is heavily influenced by the Subaru Viziv Performance Concept that bowed at this year's Tokyo Auto Salon. Fans of the current-gen WRX STI will notice that this design is more evolutionary than revolutionary. Despite its impressive rally-car performance and trademark giant wing, a the STI is still a Subaru. That means that the underlying styling and overall design language will be fairly conservative. That's not a bad thing. The WRX & STI have always remained true to their roots: a box with four doors, all wheel drive, a turbo, and not much else. While the current-generation car is the most refined version ever, it's still the same basic recipe we've loved since 2004 (or 1997, for those of us who grew up on Gran Turismo). The lopsided hexagon grille remains in the rendering, as does the slab-sided fender flares and C-shaped halo headlights. It's just a bit harder-edged than the current car, looking tougher overall. What might be under the hood of the next STI? 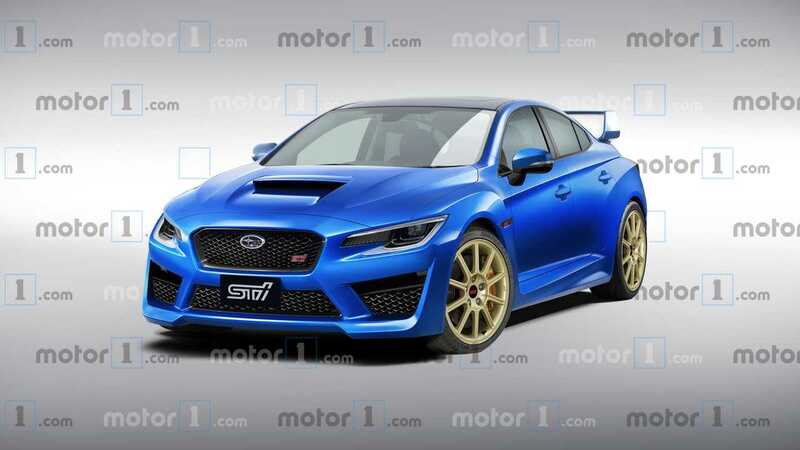 While we've heard rumors of hybrid power in the next-gen WRX, we're hoping that the STI finally gets a hot-rodded version of the FA20DIT engine seen in the current WRX. While we love the classic EJ25 engine in the current STI, its poor low-end, abysmal fuel economy, and overall high-strung character make it a poor choice for a street car. Still, we'd miss the trademark EJ exhaust rumble that comes courtesy of unequal-length headers. That sound is conspicuously absent on the 2015 and up FA20DIT-powered WRXs. We're hoping that the production STI is similar to our rendering. While the current descendants of Subaru's rally homologation heroes aren't the fastest or most refined sports cars out there, we still love them, especially in the face of a rapidly-shifting automotive market. Driving a WRX or an STI in this day and age is like visiting your hometown, finding out your favorite pizza joint is still in business, and grabbing a slice. It takes you back – and it's still just as good as you remember.